Pete Tong need no introduction, unless things are going wrong..! So we were delighted to here that Tong has taken EJ’s soul infused teaser track, Mama, I'm Gonna Sing and has put his own minimal twist on it. With a thumping bass from start to finish mixed with loops of EJ’s stunning vocals layered throughout this remix is going to be hitting every dancefloor from London to Ibiza in the coming months. 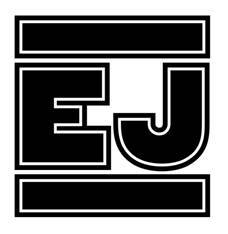 With the original track already being played like crazy on 1Xtra, Kiss and Radio 1 and a final remix in the pipeline from Savage Skulls there is plenty of hype around EJ already. Expect to be blown away from her future anthems Bangers & Mash and Supersize due later this year. We’ll keep you posted, until then, here the remix..!